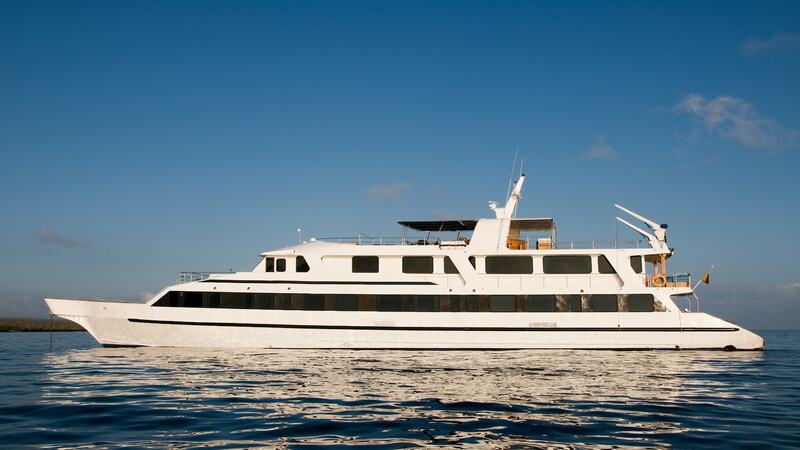 Cruise the Galapagos Islands on board the 141′ Integrity and enjoy one of the most unique yachting experiences. Built in 1977 and fully refit in 2011, Integrity comfortably accommodates sixteen guests in nine luxurious cabins. She boasts a spacious salon and large dining area ideal for lounging and dining together, as well as sun deck, complete with Jacuzzi and covered bar area. The yacht has a range of toys and tenders, including two zodiacs, eight kayaks and snorkeling gear, ideal for viewing up close the incredible Galapagos wildlife. Charter rates are all inclusive year round.